How many times have you been abroad wanting to undertake some cultural visits to the national gallery or state museum, only to find you had to pay an extortionate entry fee? It’s happened one too many times to us guys here at MyTravelMoney, and that’s why we put our research caps on and got to work, to find you the top 5 must visit museums and galleries in Europe that are completely free of charge! You’re welcome! From Amsterdam to Portugal, check out our top 5 must visit free museums and galleries in Europe and never pay a penny on entry fees again! Hi there and welcome to another episode of MyTravelMoneyTV. Now a number of you may you not be aware that the UK is one of the only places in the world where galleries and museums are funded by the government. Lucky for those taking a holiday here, not so lucky for us taking a holiday abroad where entry fees are extortionate! So to save you the hassle and research, we’ve put together the top 10 must visit museums and galleries in Europe. The city archives of Amsterdam! In Dutch of course. Sound a bit dull? Well that’s where you’re wrong. The city archives in Amsterdam might be the biggest in the world, certainly much larger than the likes of London, Rome and Paris. The Stadsarchief is home to archives from Heineken, Concertgebouw and designer, Benno Premsela. The archives also have a rich collection of maps and drawings of the city from the 17th and 18th century as well as other mediums such as films and photographs from the time. 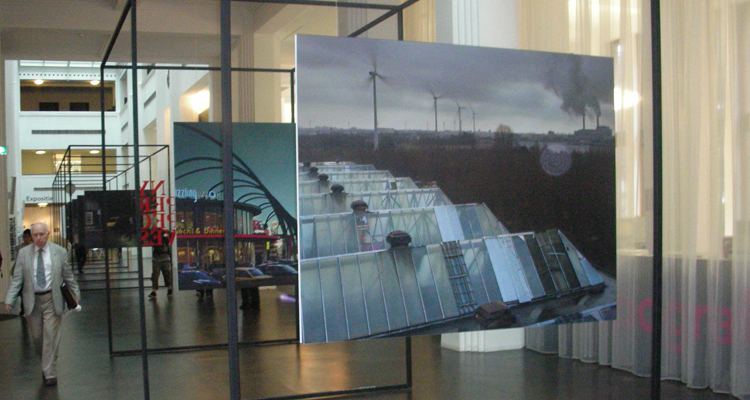 The Stadsarchiev also holds regular exhibitions so be sure to check whats on when you’re visiting Amsterdam. Want to explore the canals of Amsterdam? Why not take advantage of the benefits of a Euro Prepaid Currency Card. Not only the largest museum of cultural history in Denmark, it’s free too! Located just a stone’s throw from ‘Stroget’ in Copenhagen in a classical 18th century mansion, you’ll be sure not to miss this one! The museum covers a whopping 14,000 years of Danish history from the Ice Age and Vikings to the Middle Ages. The National Museum keeps Denmark’s largest collection of objects from the ancient cultures of Italy and Greece, the East and Egypt. A must-see is the Huldremose Woman, whose well-preserved remains are estimated to date back to the first decade of the 1st Century AD. This is a major municipal museum dedicated to contemporary art of the 20th and 21st centuries. The museum collections include more than 8,000 works from art movements of the 20th century. Exhibitions highlight the European and international art scenes of the 20th century, as well as displaying monographic and thematic exhibitions of trends in today’s art. Temporary exhibitions run every six weeks and the permanent collection includes works by the likes of Picasso, Matisse and Rauschenberg. If you’re visiting Paris, a good tip to know is that most museums are free on the first Sunday of each, so plan ahead but be aware, it can be very busy! The museum’s collection is representative of the fine arts of the 20th century and early 21st century, especially European art and American art. The collection covers major movements from surrealism to pop art, hyper-realism, minimalist art to conceptual art, presented in various media. It covers Portuguese modern and contemporary art in particular but is also home to works by the likes of Warhol, Margritte and Dali. Not only does the museum have an extensive permanent collection, but it’s also the host of various temporary exhibitions that change on a regular basis. Highlights to look for include Andy Warhol’s Ten Foot Flowers and Portrait of Judy Garland. Not only is this museum free but it is also considered to be amongst the greatest museums of art. The best-known piece of work on display is Las Meninas by Velazquez. It features one of the world’s finest collections of European art, from the 12th century to the early 19th century, based on the former Spanish Royal Collection, and unquestionably the best single collection of Spanish art. The collection currently comprises of around 7,600 paintings, 1,000 sculptures, 4,800 prints and 8,200 drawings so you’ll be sure to find something for everyone’s artistic tastes. So we hope you’ve enjoyed our top 5 free must-visit museums and galleries across the continent. If you have any other suggestions or know of any free museums in Europe, let us know and we’ll add them at the bottom of this article. Feel free to tweet us @MyTravelmoneyUK or email me at sofia@mytravelmoney.co.uk.